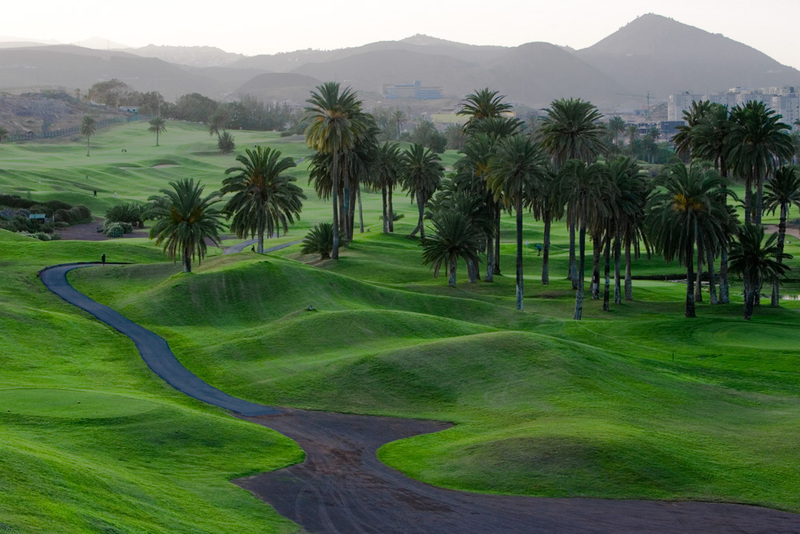 This 18 hole par 72 course was designed by American Blake Stirling (head designer for Pete Dye) and Marco Martin. 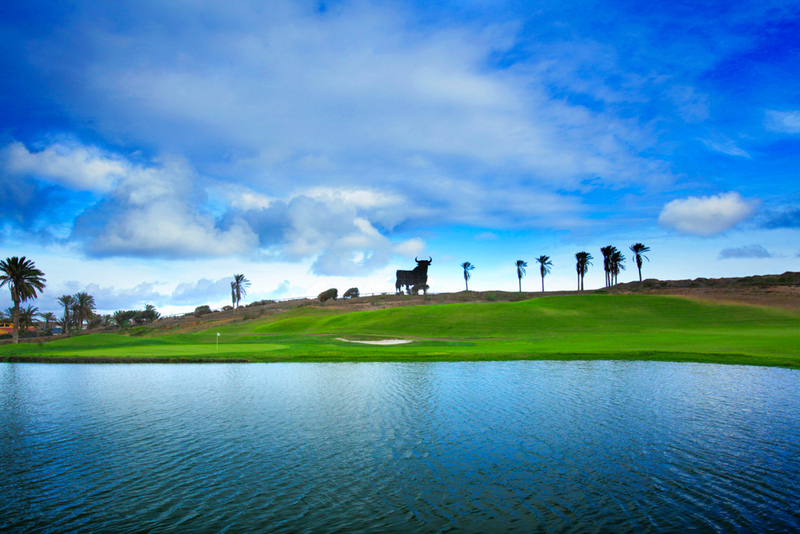 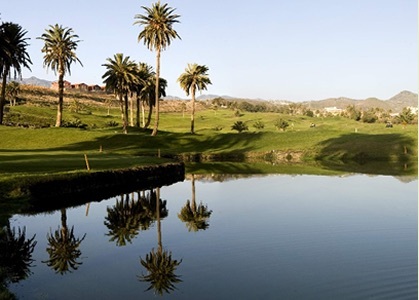 Players enjoy gentle slopes and fast greens combined with over 600 century-old palm trees and six large lakes making the game at El Cortijo Golf Club both entertaining and competitive. 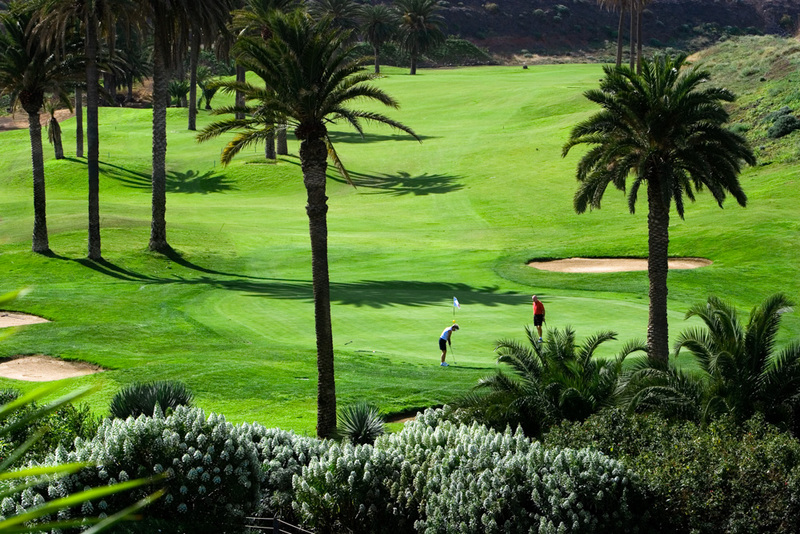 El Cortijo Golf has 3700 members and over 6,000 visitors come to play the course each year. 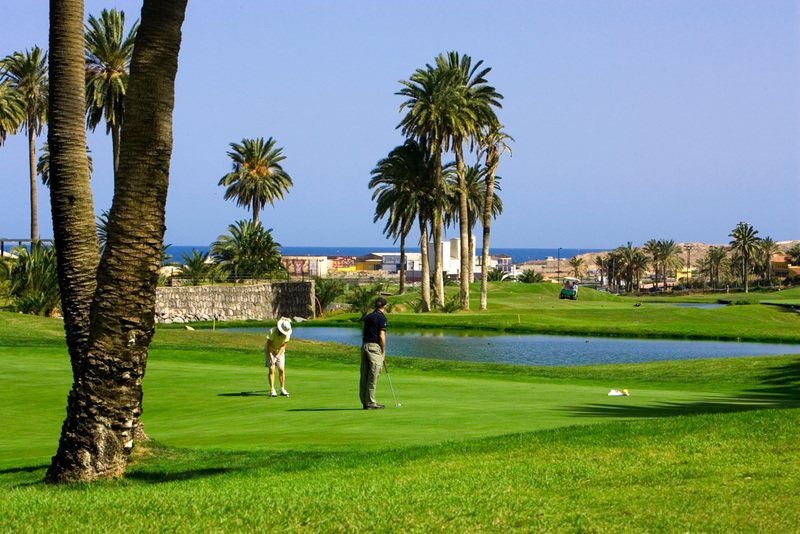 During the week, it is open for non-members with some booking restrictions and during weekends and holidays it is open exclusively for members. 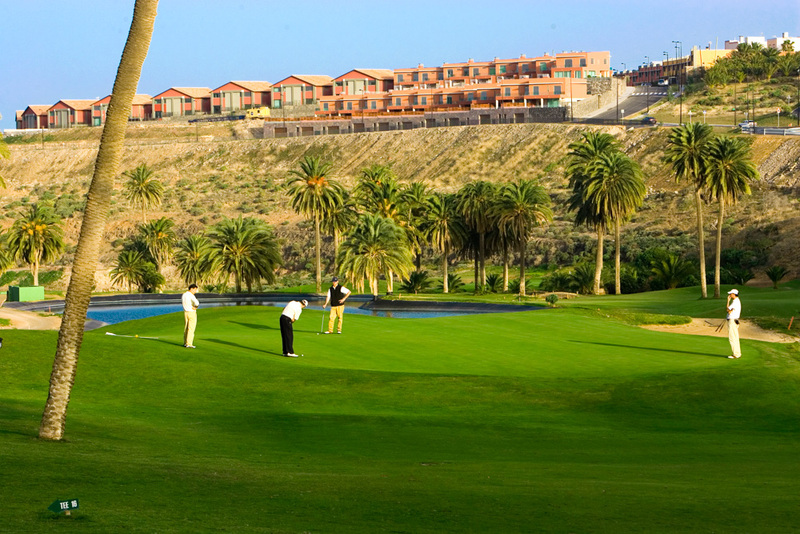 Golf school, practice course, chipping green, putting green, practice bunker, buggy hire, club hire. 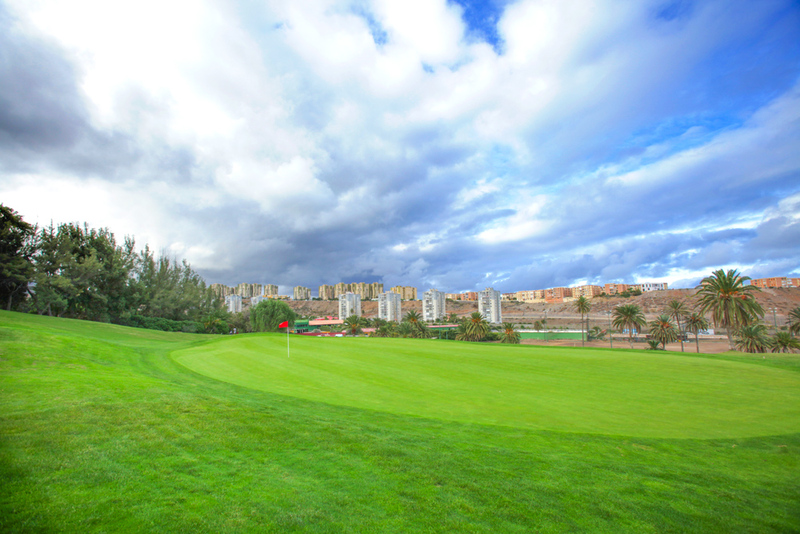 The environment management efforts made by the club have been awarded the ISO 14001 TUV Certificate. 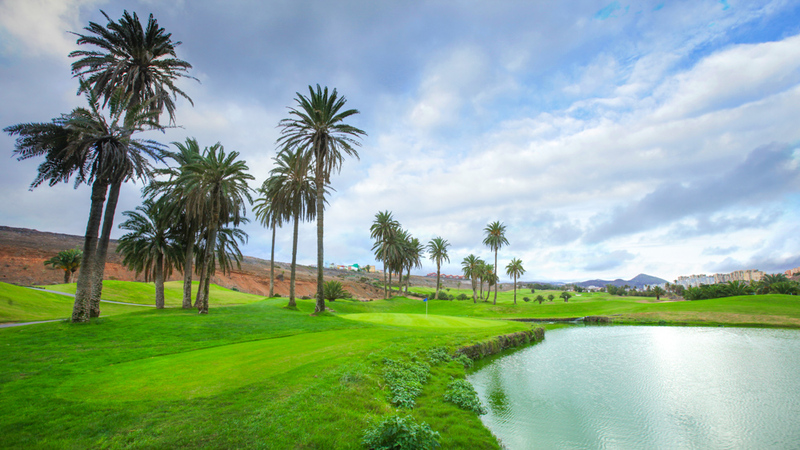 Weather on Gran Canaria:The average daytime high ranges from 20°C in winter, to 26°C in summer. 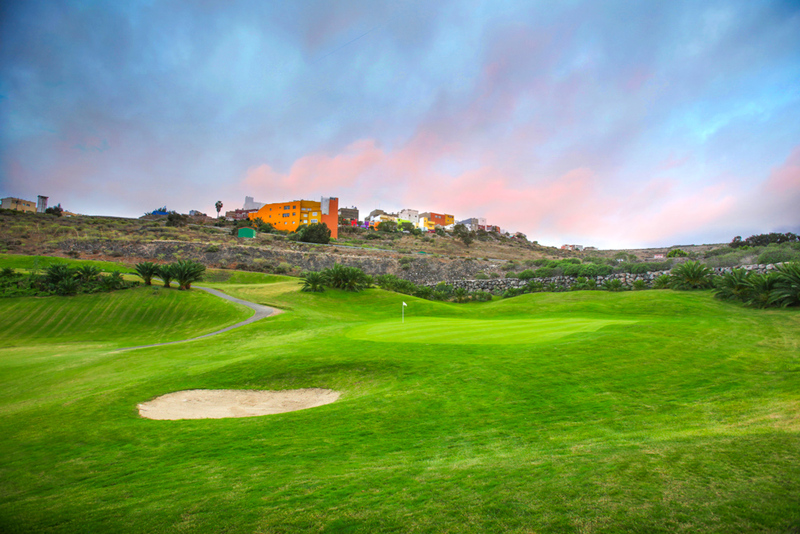 Some cool nights occur in winter, but lows below 10°C are unknown near the coast. 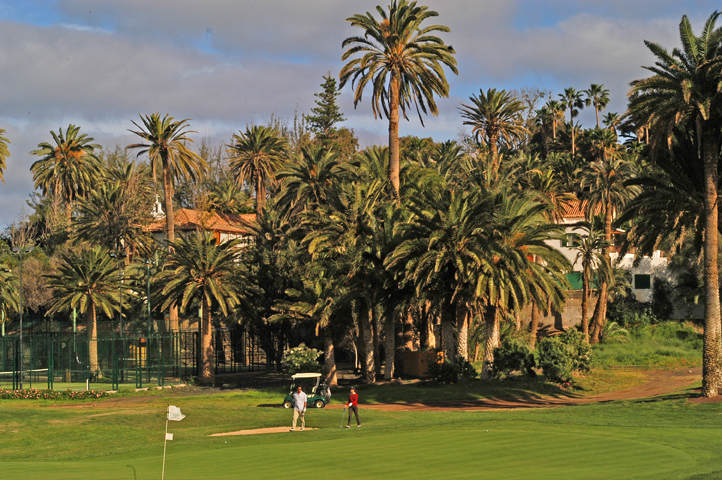 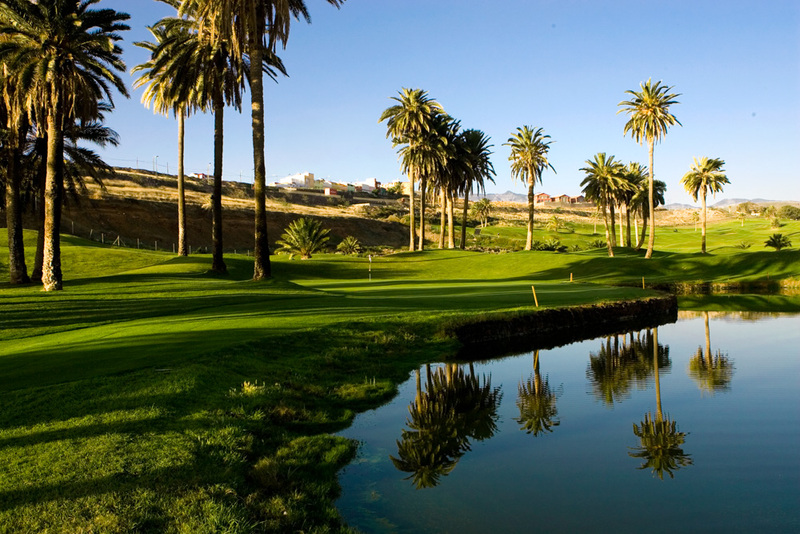 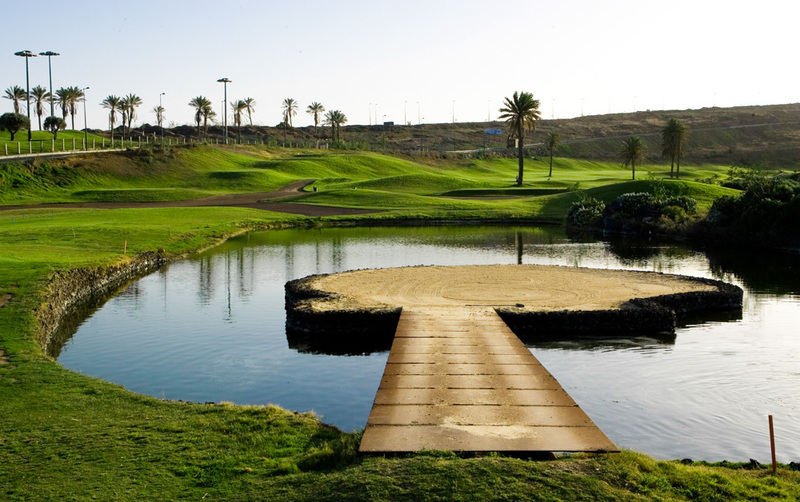 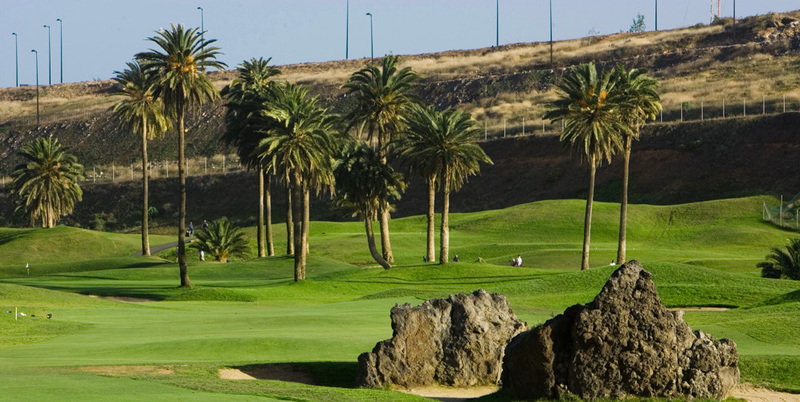 El Cortijo Golf Club is located in Telde, 6,4 km southbound on the GC-1 motorway, 15 minutes from the city of Las Palmas and 7.5 km from the airport. 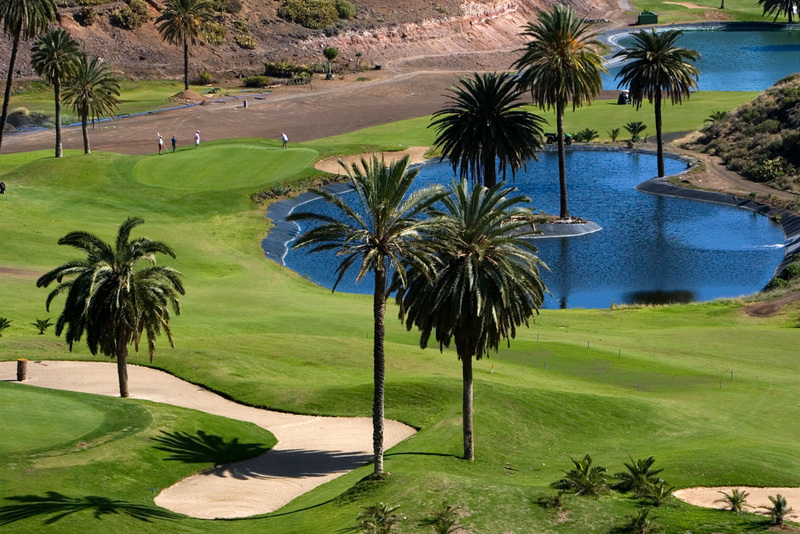 25 minutes from Maspalomas.